How can you watch your home (or downloaded) movies on the TV screen? Not surprisingly, for Part 3 of this post, I’ll answer that final question. 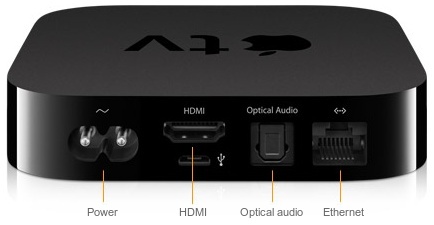 The answer isn’t what I hoped it would be, but I have to admit, the answer is AppleTV. 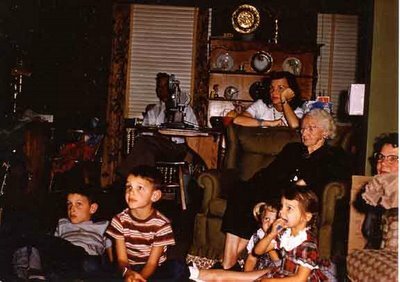 Watching home movies in your living room actually used to be pretty easy. You took out the projector and stared at a wall or a dedicated screen owned just for this purpose. Even more recently than that, you took the tape out of the video camera and popped it directly (or via an adapter) into your VCR and watched on the family television. And, then… things changed. Digital started to catch on with the promise of simplifying the capture process and assuring us no loss in fidelity over time. Camcorders came with Firewire ports, Flip happened, then clones of the Flip, then phones. Lots of phones… There were more formats and more complications than ever. All of a sudden, we realized we were recording a TON of video, but had never watched ANY of it. YouTube was too public, and Facebook helped us experience our memories on computers, but how were we to watch in the living room (where we have the best setup for video)? You could keep your movies neatly organized on your computer and across your home network and access them with a TV (or device that connects to the TV) that is also connected to your home network. Option 1 isn’t a real option. Plugging devices directly into TVs is a huge pain, which defeats the purpose (you could just watch on the computer if you were ok with it being annoying). Its a pain for a lot of reasons. Not all phones and devices have the ability to output directly to the TV, and even fewer have high definition outputs so you get the best quality. More importantly, you probably don’t have all of your videos on a single device. 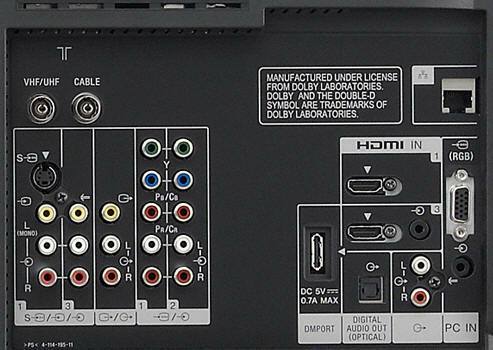 Having to plug and unplug multiple devices means not only knowing which device your video is on, but also keeping the right cables on hand to connect each device, and turning the TV around each time to access the inputs can be an even bigger pain. Plus, you need to have your device plugged in while you’re watching, which if its your phone (increasingly the device you use most to record video) means you get interrupted if you get a phone call… it just isn’t worth it. Hardware in the living room to access the media server. Believe it or not there is an industry standard, established by the Digital Living Network Alliance (or “DLNA“), intended to make this pairing seamless. On the computer (or server) side, there are several solutions from dozens of software providers and some that are even built into Microsoft Windows or Media Player that are all designed to serve video any compatible device. On the device side, there are DLNA or UPnP (Universal Plug and Play) certified products from nearly every major consumer electronics manufacturer that should pair easily with any of the DLNA servers. I’d explain it all, but it really doesn’t matter; suffice it to say that despite widespread support and a clear objective, DLNA/uPnP hardly works. Even the server built into Windows, paired with the Sony Playstation 3, the nation’s leading connected device, doesn’t work in my home. So what is one to do? You could comb message boards for the latest news on DLNA servers and tips on how to get the configuration just so… (it won’t work); you could try one of the software providers with paired device support like PlayOn or Plex… (it might work, but will require a fair amount of tweaking and isn’t for the masses yet); OR, you could just go with the company that is synonymous with integrated seamless experiences across devices: Apple. Now, as you know, I’m not an Apple fan-boy. I carry an Android phone from HTC, I use Windows at work, I live on Google web applications, and I spent 5 years of my life at DivX (arguing against closed ecosystems the whole time), but when it comes to getting video from your PC to your TV, Apple has won me over. Between AppleTV and the Airplay support it provides to iPhones and iPads, they got it just right. Let me explain. Here’s how it will work. After you record video, back it up to your computer. 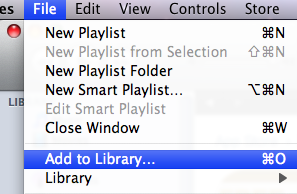 Have iTunes import the files (File -> Add to Library, and then select the folder where you store your videos). iTunes will typically be able to read your file natively, or may automatically convert them for playback; but, if somehow your videos aren’t in a format iTunes understands, you can convert them using some fairly simple software (like DivX, Handbrake, or others, the subject of which is a post unto itself). Then the server side of your media solution is complete. 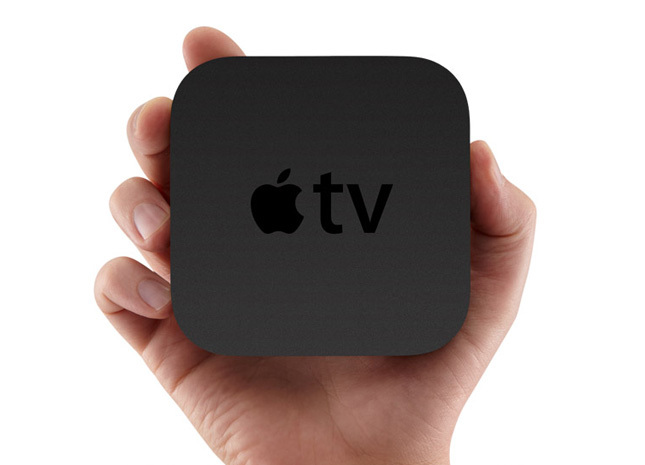 Now, buy an AppleTV, plug it into the wall, use an HDMI cable to connect it to your TV and go through the setup process to connect to your local network and pair it to iTunes. That’s it. You’re done. iTunes will see your AppleTV and vice-versa. After a bit of time, all of your videos will show up in the “Computers” menu of the AppleTV and even though it takes some time to buffer before an actual video starts to play back after you’ve selected it, the quality is good and the experience is painless. At $99, the price is well worth the lack of headache in getting to function properly. Plus, if you have video or other media on your iphone or ipad, you’ll be able to stream directly from that device to the AppleTV as well. It really couldn’t be easier. I’m not going to pretend the AppleTV is a miracle product that eliminates the need for the solutions outlined in Part 1 of this post. I’m not even going to pretend you can’t get higher quality results without streaming the file over the network, but I will say it is simple enough to take the hassle out. And we all know a solution that has hassles is no solution at all. If home or downloaded videos is a primary use case for you and otherwise all you want to do is watch Netflix and rent or buy a new movie every once in a while, then AppleTV is a no-brainer. *NOTE: The hard drive solution DOES make sense if you are obsessed with video quality. It is much easier to have high bitrate/high resolution version of the video being read from a hard drive (or thumb drive) than streaming it over your network. Experimenting with my own AppleTV yielded fairly decent results, but LONG waits before the video began to play, and some obvious artifacts. These things are eliminated by plugging the drive in directly. Still, MOST of you reading this are more interested in watching your home movies (videos of the kids you took with your phones/flips/etc.) than with feature films acquired from the torrent networks or otherwise. For you, the advice in the post stands without the note. For those that see this note as insufficient, see upcoming post on choosing your formats for purchasing movies, and feel free to disagree with me in the comments! TV Everywhere? Cable on the Net Isn’t There Yet – TIME.